As you drive through the gate and wind your way down the driveway, you know you have arrived somewhere special. 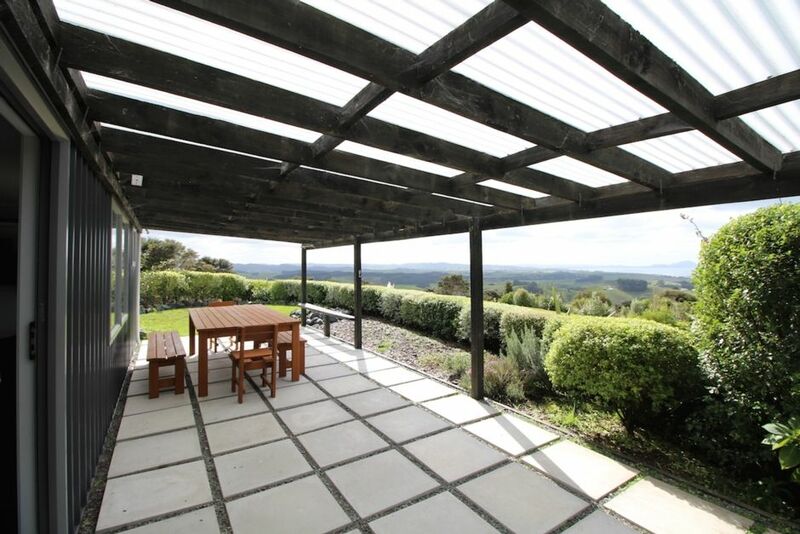 Ruby View is set in a quiet and peaceful location in the hills of Waipu amongst established native bush but with extensive sea and rural views. The home is a converted barn and offers a compact and cosy getaway in absolute serenity. On the property are a juvenile orchard, a large grassy area and a fabulous playground to amuse the kids. Inside you'll find a modern interior with quality fittings in the bathroom and kitchen (please note there is no oven) and a generous covered outdoor entertaining area with table seating for the whole group. Ruby Views offers a unique, private, rural getaway with amazing views and only 15 minutes drive to the beach. Beautiful views in a very quiet environment. My dog loved wandering around the property exploring. Great for single travellers or families although I think elderly people would find the stairs a challenge. Great covered outside patio with bbq. If you want to get away from it all this is the place to be. This is the second year we have stayed at Ruby Views. This is the second year we have stayed at Ruby Views. We love this place, great location and the kids always have such a great time. Ruby Views is such a special place. Ruby Views is such a special place. The views are spectacular and the kids loved the playground. The inside of the property is nice and modern. It was a great place to get away and unwind. The only downside was having no oven. It's quite unusual for a holiday house not to have one and restricts cooking options. Would definitely stay again. Awesome place, massive yard. Our pup loved it! We loved the location and the quite. We loved the location and the quite. Very clean and tidy property. Stunning views, the landscape is beautiful and the place itself was well equipped. Stunning views, the landscape is beautiful and the place itself was well equipped. We absolutely loved our weekend away at Ruby Views, it was absolutely relaxing and peaceful.